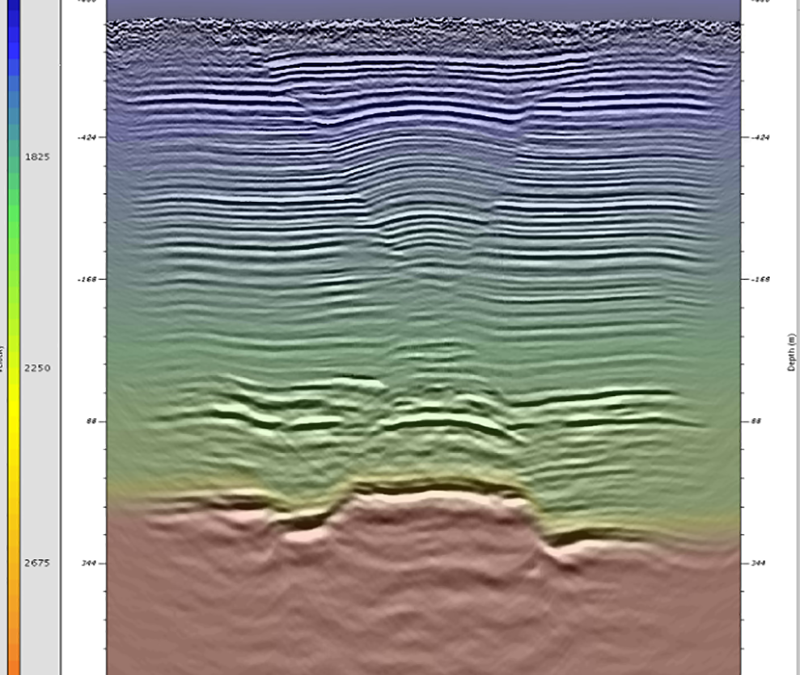 The subsurface imaging capacity of geophysics is a key component of an geological or environmental site assessment. 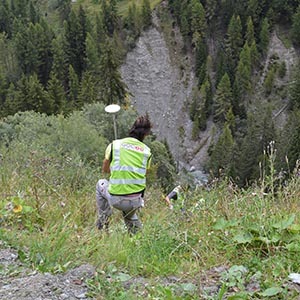 The specific signature of natural resources such as gravels or groundwater is easily identified by geophysical measurements. Buried waste or soil contamination are more and more often found. Accurate positioning by geophysics prior to excavation allows for a more secure decontamination work. Our equipment allows us to work in all environments, even in dense urban areas. Landslides and other geological hazards have a very strong impact on infrastructures. Geophysical profiles are perfectly suited to provide information about sliding planes, groundwater content or faulting. Other geohazard mitigations can benefit from geophysical measurements (cathodic protection, soil liquefaction, cavities, etc.). 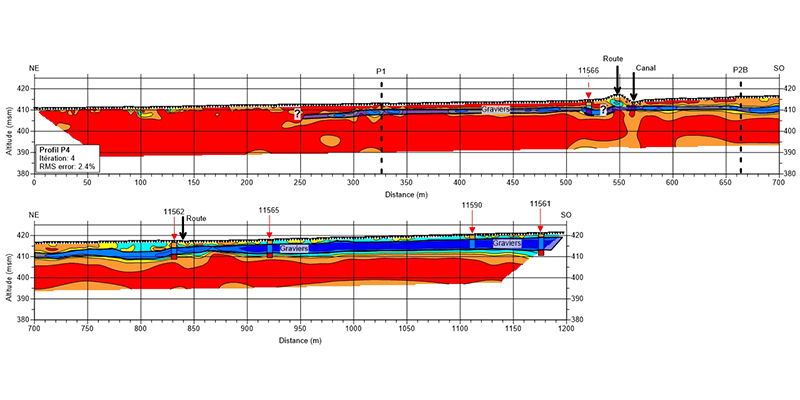 Each of these can be assessed by a specific type of geophysical acquisition. Do not hesitate to contact us to learn more about solutions for your geological issues. Detailed information and references for Environmental or Risks surveys are available upon request. Please do not hesitate to contact us.